The X-3 tested swept-wing technology and a more powerful turbofan engine. 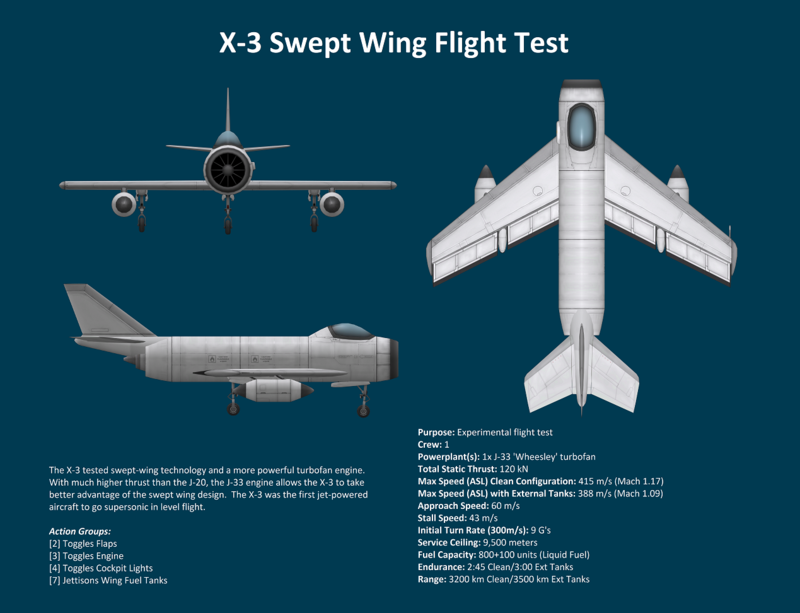 With much higher thrust than the J-20, the J-33 engine allows the X-3 to take better advantage of the swept wing design. The X-3 was the first jet-powered aircraft to go supersonic in level flight.